Four Courts Press, 9781846823862, 296pp. 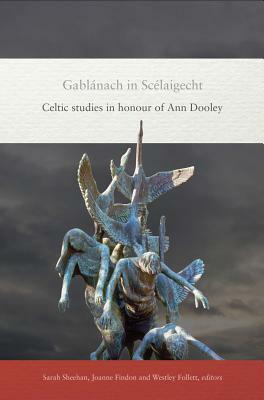 This book celebrates the career of Ann Dooley, one of Canada's most eminent Celtic medievalists. Dooley's colleagues at the University of Toronto, her former doctoral students, and some of the most prominent scholars in medieval Celtic studies honor her work with 16 original essays reflecting Dooley's teaching and interests: early Irish and Welsh literature and history, literary theory, and feminist approaches to medieval Celtic literature. Chapters include: studies of major figures in early Irish and Welsh folklore, including Gwydion, Nes, Deirdriu, Luaine, Medb * studies of major texts, including the Auraicept na nEces, the Acallam na Senorach, and the Tain Bo Cuailnge * women, blood, and soul-friendship * how Irish was medieval Ceredigion? * the 'Statute of Gruffudd ap Cynan' * the Irish history of the 'Third Troy' and medieval writing of history * the monstrous hero * the O'Donohue lives of the Salamancan Codex.